Is it half way through the month yet? For some reason, linking up with Farley‘s Currently party escaped me until now. I love to read what everyone is doing. Listening: Our foster kittens, also affectionately called “The Boys”, are like typical (people) boys. They love to spend their time wrestling and chasing each other. Here’s a picture of one of them getting ready to jump on top of the other one. I’m having a contest to name them. You can enter here. Loving: When we moved to California, my daughter and I insisted that we buy a house with a pool. We had never had one before but we wanted to give it a try. I was a little nervous about it. I was afraid it would be one of those things that seemed like a good idea at the time, but later regretted. After three summers with a pool, I couldn’t imagine ever living without a pool. If you’ve been thinking about putting one in, I highly recommend you take the plunge and buy one. Yes, pun intended! Thinking: Living in California has some similarities to living in Texas – THE GRILL! Our grill got a workout when we lived in Texas and it gets a workout here, too. The only problem I’ve found with this is my husband can grill a chicken better than almost any restaurant. So, now when we eat out, I am less-than-pleased when I order a grilled chicken breast dinner. Wanting: Don’t we all wish our house could stay clean after we clean it? I sometimes wish I had the power of Elizabeth Montgomery in Bewitched. Wouldn’t it be great if all we had to do was wiggle our nose and our house was magically cleaned? Needing: Yes, I need to finish my yardwork. To me, yardwork is like doing the laundry . . . . you are never finished. There is always something more you could do. UGH! Reading: Farley gave us guidelines for this section. #1 is our favorite book to read aloud. I absolutely LOVE “The True Story of the 3 Little Pigs”. It doesn’t matter what grade I teach, I always find some way to tie this in with a lesson. Here’s a freebie that is a part of my Pig Tales unit. #2 is our favorite go to professional book. I think “The P.R.I.M.” should be on every campus. This is such a great resource when your bag of tricks is running low. Haven’t we all had one of those years? 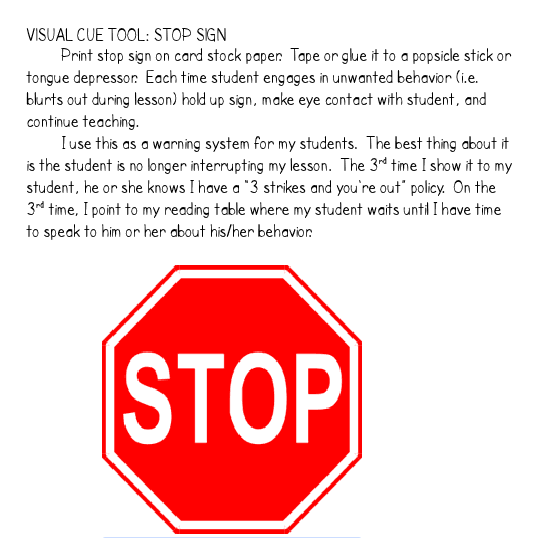 Here’s a freebie from my Behavior 101 packet. The pool looks like so much fun! It is winter right now so very jealous! I am forever thinking how nice it would be to just wiggle your nose and housework be done. Alas that's not the case! ohhh I hate cleaning the grill!! I'm in TX and use mine ALL. THE. TIME! Love grilling in the summer! Hi Michelle. I am your newest follower. Your blog is great. Can't wait for more! 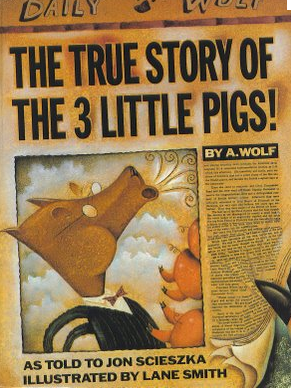 I am also a huge fan of The Real Story of the 3 Little Pigs. Hilarious! Also, your freebies rock!